RGR Sales and Rental exclusively services only those properties currently managed by RGR Property Management. The RGR Sales & Rentals Division was born out of our observation of a major shortfall in the level of service for sales and rentals transactions being provided to property owners under our management. As your full-service property management company, we strive to offer you a level of service and integrity that is unmatched. We’ll help guide you through the process and ensure that you feel comfortable every step of the way. all aspects of your property sale, from pricing, marketing and showings, to the intricate steps involved in closing the deal. We partner with you from day one, taking time to discuss your unique needs and goals. Our customized marketing plan is designed to promote your listing to the widest possible buyer audience using online and print outlets, as well as to the entire brokerage community. We seek pre-qualified buyer prospects and provide personal representation at every showing. Once offers are received, we put our negotiating skills to work to secure the highest possible price and the shortest closing timeframe to conclude the transaction. At RGR, we pride ourselves on providing clients more dedication, more focus, more service and more support from the moment we list your property for sale to the moment we close. We conduct weekly open houses and weekly activity reports for our sellers. We ensure that our Seller is fully updated on a regular basis on all activity related to their sale. Our knowledgeable sales team brings extensive experience in selling properties both locally and nationally. We have represented both buyers and sellers, giving us in depth understanding of the entire process. Our experience includes having worked with a range of clients from local homeowners to international investors. We are passionate about getting the job done and do not let up until our clients are satisfied. As the current management company for your association, RGR offers you the distinct advantage of our knowledge of all property transactions in the community. We are extensively apprised of your condo association rules & regulations, assessments or any legal issues that you need to be aware of as the seller. Our superior Comparative Market Analysis Reports establish a realistic market price for your property that will result in a faster sale. Our online marketing strategy is second to none by listing your property on a variety of websites such as Zillow.com, Realtor.com, Trulia.com, Boston.com, and more. In addition, your listing will be on the MLS System, making it visible to the entire broker community. 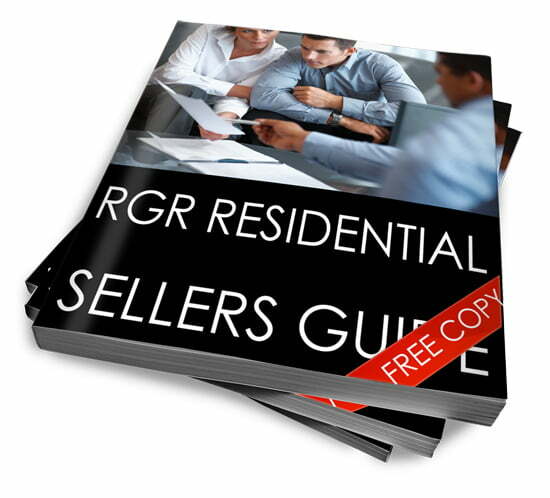 RGR offers clients a unique value-added approach to selling their property. We can provide our Maintenance team to carry out any necessary repairs, installations or touch ups, prior to listing it for sale. We can also perform any repairs that are requested following the buyer’s property inspection. We are also naturally apprised of the Condo Association Rules and Regulations and assessments putting us in a position to give more informed answers to buyers’ questions. Once we have an accepted offer, there are many documents which are required to be provided by the Seller to the buyer. RGR is in a position to waive all the applicable fees for our sellers and furthermore provide them in a timely fashion to ensure that the deal moves forward.